Partial capos used to be something of a niche product, but in the past few years, they’ve grown exponentially in popularity. But what is a partial capo, and why do you need one? Partial capos have amazing applications for players at every stage of guitar playing. They’re incredibly useful for beginners struggling with learning chord shapes, they make alternate tunings a breeze, especially when playing live, and they unlock new sonic possibilities, facilitating sounds you didn’t know your guitar could make. If you’re on the fence about whether you need a partial capo in your gig bag, check out these three ways it can transform your guitar playing. If you’re new to learning the guitar and struggling to remember the myriad chord shapes, a partial capo could be your new best friend. 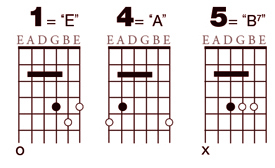 Getting to grips with mastering guitar chords isn’t easy. It requires accurately placing multiple fingers on the fretboard at the same time, while simultaneously trying to concentrate on strumming with the right hand. This is a process that can take months to get to grips with. It’s the first hurdle that many beginner guitarists face, and also the first hurdle at which many fall. The advantage to using a partial capo – in this case, an Esus 3-string capo – is that it simplifies chords, allowing beginners to play many chord shapes with just one finger. As a result, beginners can concentrate on what their right hand is doing before worrying about the left hand, mastering strumming before moving onto chord shapes. The instant gratification of getting a good sound straight away is incredibly motivating and encourages perseverance; it’s perhaps for this reason that partial capos have become a mainstay when teaching young children guitar. And, those chords sound really good! In the Esus configuration, they’re full, complex and very rewarding to the player. Given their usefulness for absolute beginners, there are those out there that dismiss partial capos as little more than training wheels for newbie players. But, there’s so much more to the partial capo than one-finger chord shapes. If you’re a fan of alternate tunings, for example, the partial capo might just be your new best friend. Using partial capos allows you to explore countless alternate tunings without needing to retune your guitar. This is great, both for exploring new ideas on the fly without having to break your creative flow, and for live applications, where your time for retuning is severely compromised. Take the perennially popular DADGAD tuning for example. Depress the 3rd, 4th and 5th strings on the second fret with a partial capo while in standard tuning and you’re there. Celtic drones and Jimmy Page-style “Kashmir” riffs await without the hassle of rummaging around in your gig bag. Partial capos are great for simplifying existing guitar concepts. But, perhaps their greatest strength lies in unlocking sounds that wouldn’t normally be possible on a capo-less guitar. Take, for example, the so-called “partial drop D” setup popular amongst many partial capo users. This involves placing a partial capo across the top five strings of the guitar at the second fret. The name is actually something of a misnomer. While it simulates the effect of the popular drop D tuning, you’re raising the pitch of the top five strings rather by a step rather than lowering the bottom string a step; effectively, it’s drop E tuning. Put your partial capo in this position and play a D chord shape. Notice how huge, and luscious the chord sound is compared to normal, with the root played on both the fourth and sixth strings. It’s the same kind of effect that you’d get in drop D. Now, play a G chord shape. If you were playing in traditional drop D tuning, you’d expect it to sound off because of the detuned E-string. But here, it sounds like it should. When playing with a partial capo, any notes fretted on the sixth string behaves as it would in standard tuning. In “partial drop D,” this means that you can play G, A, F and C chord shape as normal, while still taking advantage of that low bass note on the D (the E chord shape is trickier, however, as the bottom string is normally played open). Popular with singer-songwriters looking for a full tone when playing unaccompanied, the result is a kind of “best-of-both” worlds between standard and drop tuning. And, it’s a sound that can only be achieved with the use of partial capo. There are plenty of other “outside the box” sonic possibilities that a partial capo brings. Coming back to open tunings, there are a number of guitarists that use partial capos aftertuning their guitar to DADGAD or Open G. By using a partial capo on topof alternate tunings, the weird, wonderful and entirely out-of-the-ordinary sounds attainable on your guitar are even greater than before. Great for beginners, for alternate tuning fans, and for those wishing to push the sonic envelope, partial capos are amazing tools for unlocking your guitar playing potential. Whatever your playing ability, they’re well worth a try.